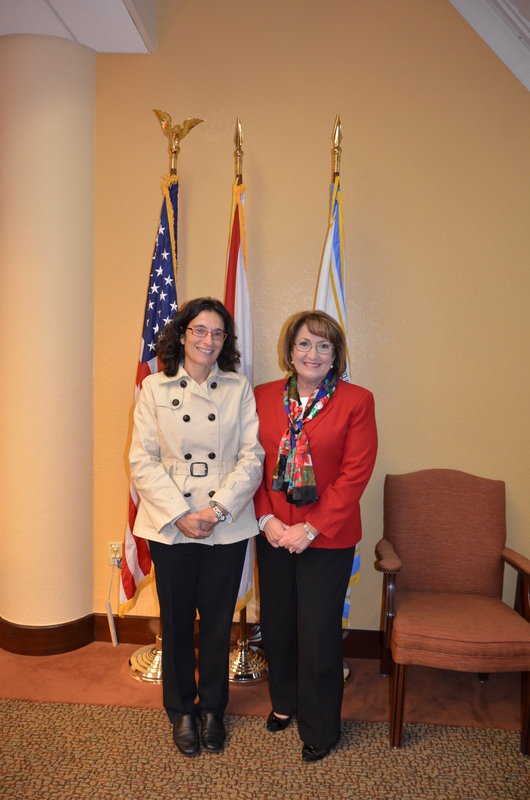 Mayor Teresa Jacobs and representatives from Orange County’s Office of Economic Development met recently with Inmaculada Gutierrez, Trade Commissioner of the Embassy of Spain for the Southeast United States, to explore local economic opportunities for Spanish companies in the region. Guiterrez was accompanied on the trip by the Spain Trade Commission’s Director of Investments Isabel C. Dávila, as well as by five representatives of Spanish-owned companies. The NEC was created in 2003 by Orange County, the University of Central Florida and The Walt Disney Co. The center is funded exclusively by local corporate, education and municipal sponsorships, and is home to 11 nonprofit organizations that provide training, coaching and a variety of business resources to regional entrepreneurs and small businesses. CFITO assists regional entrepreneurs and businesses with international commerce opportunities. CFITO was launched as a pilot program in 2014 in response to local companies looking for exporting opportunities. The Office also helps streamline the process for foreign investors to connect and partner with regional businesses and establish local operations. CFITO is funded by Orange County with a dollar-per-dollar match from JP Morgan Chase.